Pudding | Cupcake Villains Strike Again! As a dutiful offspring, I needed to make something particularly charming and fancy for my maternal unit’s day of birth. 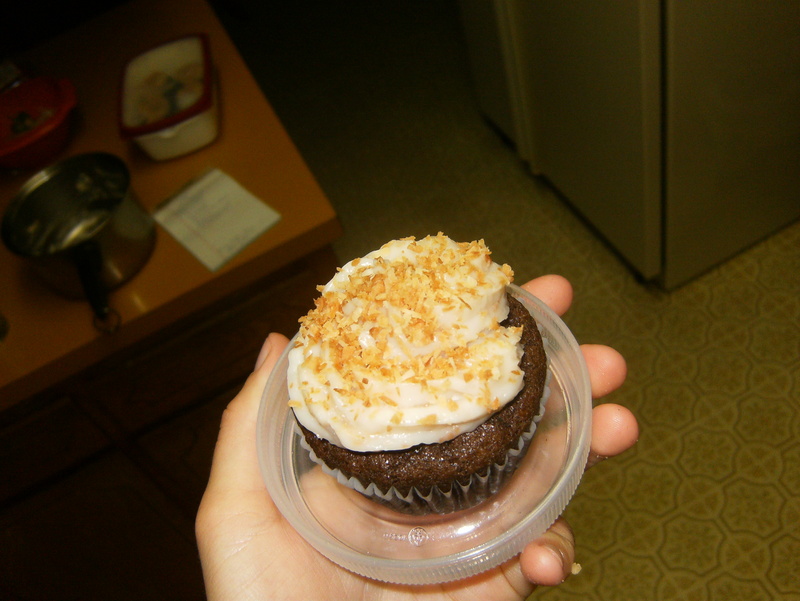 Of course, I’m also obsessed with pudding filling in cupcakes, so I totally went down that road again, and went down the hazelnut-chocolate cupcake road again. The delicate crumb the nut meal lends to these cupcakes is so…seductive is a weird word to use in relation to cupcakes, isn’t it? In any case, what makes these cakes special is the Frangelico in the pudding filling, and the frosting. Up until I had the tin of ground cinnamon in my hand, hovering over the bowl of sugar and margarine, I was going to make chocolate frosting. Okay, so these were labor-intensive little buggers. After the orange-chocolate cupcakes earlier, my associate AWGster commented that ze would prefer something much less…orange-y, as filling. Which is how these were born. 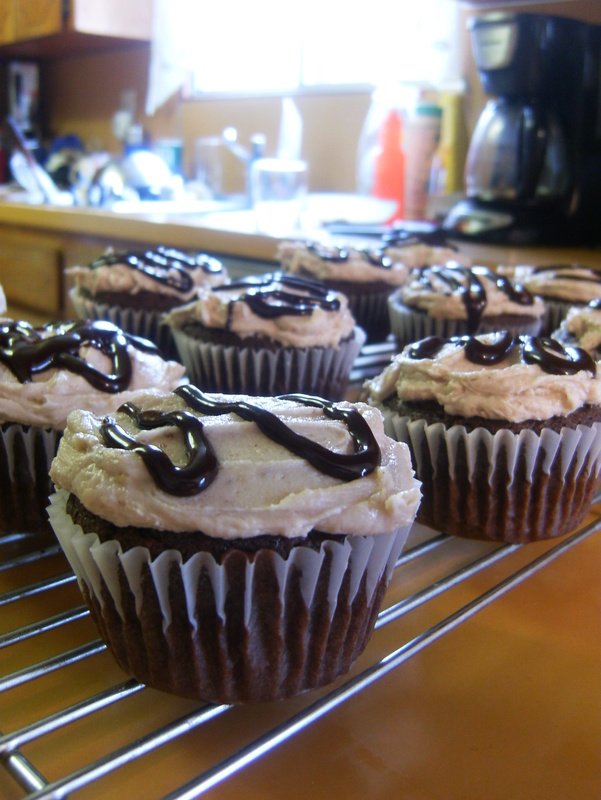 I’m really digging the texture that adding nut-meal to cupcakes gives–I feel like the cupcakes are more moist and tender and have a really good…umm, well, I’ve only heard this in the context of coffee and wine, but mouth-feel. Anyways, it’s awfully lucky I’m not allergic to nuts. 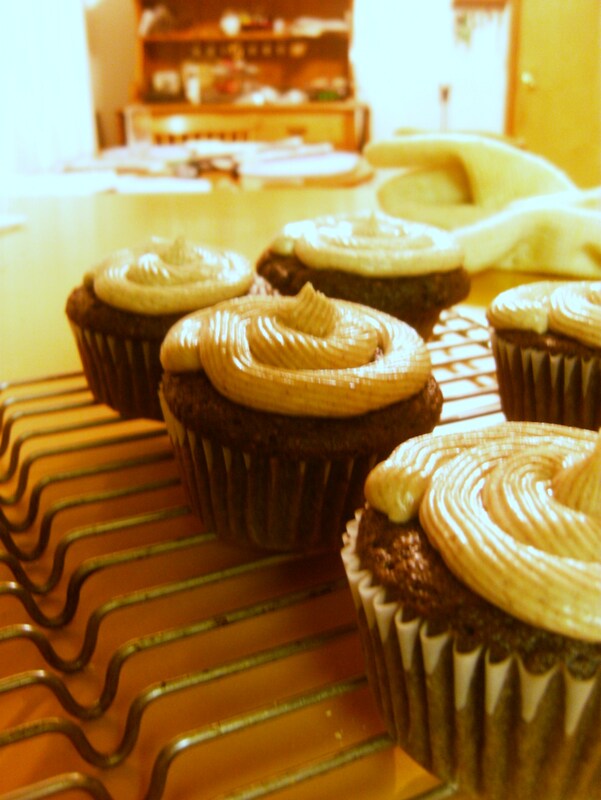 So these cupcakes are chocolate hazelnut cupcakes, with a hazelnut buttercream frosting, chocolate ganache topping, and a chocolate pudding filling, and ALL are vegan, because I’m totally a winner.